Weekend Picks! 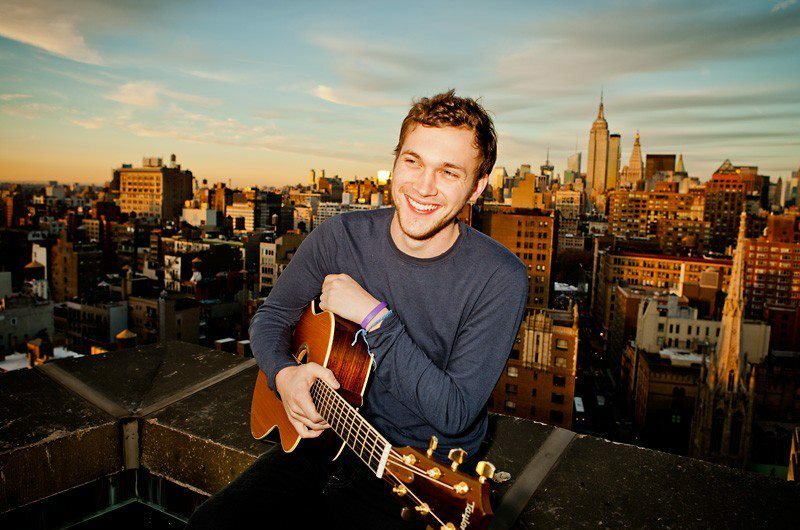 Phillip Phillips, Crash Boom Bang, Kate Nash, and more! Happy Spring! Even if it doesn’t really feel like it quite yet. They might be pop-rock-electronic, but they play all their own instruments, not to mention they play well into the a.m. and enjoy a good party just as much as the next person. If you are looking for a good time, late into the night, Crash Boom Bang is where you need to be! Loosely based in the skate punk genre, Sinkane is so much more. It has layers and layers of psychedelic reverb and progressive rock, the band has blended and fused different genres to produce a completely different style. Check them out for yourself! Eliot Bronson is no stranger to the Eddie’s Attic stage. In 2005, he won the Open Mic Shootout, and the folk singer is coming back to the infamous venue once more. Last year he released Milwaukee collaboration with Yonder Orphans who will be joining him at his Eddie’s Attic show. Don’t miss out on this folk singer! The Seattle natives just released a new album this month, and that means the indie pop band will have plenty of new materials for the show at Vinyl. The band takes an interesting take on indie music by incorporating live stringed instruments such a the cello, violin, and others. Previously known for her easy going, girly pop, Kate Nash turned a little more punk with her most recent album Girl Talk. Her unique vocals as still there, but this time with a little more anger, and her performance is sure to have just as much new passion as her album did. The indie pop band, San Cisco doesn’t know just pop. They have dabbled in lo-fi grunge and in depth songwriting. They have been nominated for several awards as they have begun to rise in the music industry, so catch these guys before they get big! This is another Atlanta native (meaning we should all support!). The singer songwriter already has five solo albums to his name, and will be releasing his newest album at Vinyl on Saturday. This will be a big night for him, and an even better show for you! Starting off as a piano heavy, piano pop band, Modern Skirts has been vigorously touring the south since they began, but since their beginning, they have grown and changed their style since their debut. Modern Skirts is a band on the up and coming, so catch them while they are on the rise to fame! Part of the underground rap community, he has been producing and creating music with some of the biggest names in the business such as Wiz Khalifa, Juicy J, and ASAP Rocky. The southern rap is known for its lo-fi quality and dark style. Phillip Phillips. Geez. In my opinion he is one of the best names to come out of American Idol. Not only is he a talented singer, but he has also collaborated and found some of the best folk, and stringed players I have seen in a while. It’s not everyday you get to see an American Idol, so don’t miss him! Eliot Bronson and Yonder Orphans are going to be awesome!